All the following rules must be understood prior to purchasing a tour with Dreamland Safari Tours L3C, and must be followed once on tour. Failure to follow these rules could cause injury or death, termination of tour, arrest, or a diminished experience. In no case will Dreamland Safari Tours L3C be held liable. All participants (parents/guardians for those younger than 18) must sign this agreement prior to departure. D.S.T. is not responsible for inclement weather. Tours will still depart and carry on as scheduled. In rare cases tour destinations may be closed or restricted by governing officials even at the last minute due to flash floods, snow cover, high winds, road impassability, or other uncontrollable circumstances. In such situations or in any other that the tour guide deems as unsafe, at the tour guides discretion, tours may be re-routed to other local venues. Additionally, should a tour become halted as a result of mechanical failure or road conditions (usually mud or snow) the tour guide will do everything in his power to correct the situation. If the situation is uncorrectable by the guide alone, outside help will be called in. Every effort will be made to continue the tour. D.S.T. is not responsible for any delays. In very rare situations when the tour cannot go on, transportation returning to Las Vegas will be arranged. Should this occur guests will receive a PRORATED portion of the tour price as a refund. By signing below I accept these terms. Behavior that diminishes, jeopardizes, destroys, or threatens the natural, historical and/or cultural resources at our destinations in any and every way IS STRICTY PROHIBITED. Not only is this behavior socially and morally reprehensible but it is also illegal and could either land you in jail or threaten the permits that allow D.S.T. to access beautiful isolated backcountry destinations or even the park(s) at large. These activities include but are not limited to littering, collection or destruction of rocks, plants, animals, fungus, or microbiota dead or alive, destruction of park property, and collection or destruction of Native American artifacts or historical sites. If these activities occur, the tour guide, at his discretion, may AT ANY TIME terminate the tour and return to origin and/or report the behavior to Park Law Enforcement. In such situations refunds will NEVER be issued. By signing below I accept this policy and take full responsibility for my actions on public land. Additionally D.S.T. will not be held responsible IN ANY WAY in such situations. Children because of their curiosity and limited life experience are particularly vulnerable to the risks associated with outdoor recreation. Children must be supervised by parents or legal guardians AT ALL TIMES. Our tour guides are not babysitters and will be quite busy maintaining your camp, your transportation, your activities, and your overall experience. By signing below I accept all responsibility for the actions of my children and agree to supervise them accordingly. I also agree to sign this agreement on each child’s (<18) behalf as their legal guardian. All D.S.T. guests must stay with the group and guide or activity provider AT ALL TIMES. The only exception is when the group or certain individuals are at camp and want to explore THE IMMEDIATE VICINITY. In this case a hiking plan must be established with the guide and safety precautions taken. By signing this agreement, I agree to carry the provided satellite messenger and to use it in the case of emergency to first contact the guide at camp and ONLY when that fails emergency services at large. I also agree to take any other safety precaution(s) as specifically instructed by the guide. Minimum hiking group is two (2), the buddy system. Hiking alone is not allowed unless a spot messenger is used. ALL MINES AND CAVES ARE OFF LIMITS. No climbing or scrambling up steep faces or rocks is allowed-HIKING ONLY! D.S.T. is not responsible for injury OF ANY KIND. You explore at your own risk and agree to hold D.S.T. harmless in injury situations by signing this LIABILITY WAIVER. D.S.T. is not responsible for any food allergies or food-borne illness resulting from food or beverage provided. Guests are responsible for their own health and determining whether a particular food is safe to consume. By signing below, I acknowledge that I have advised the tour guide of any special dietary needs and/or provided for them myself. I also accept responsibility for examining all food labels PRIOR to consumption for any unfit ingredients. Overtly rude, hateful, abusive, or violent conduct will not be tolerated at any time towards other guests, other wilderness users, the tour guide, activity providers, or government officials on D.S.T. tours. D.S.T. reserves the right in extreme, uncorrectable situations, where the safety of other tour parties is jeopardized, to call Law Enforcement or eject the violating party(s) from the tour in a safe populated place. In such situations refunds will NEVER be issued. D.S.T. is not responsible for damage to personal property or injury to person by other guests in the group. By signing this LIABILITY WAIVER I hold D.S.T. harmless in the above situation(s). No illegal drugs, hard liquor, or spirits of any kind are allowed on D.S.T. tours. Beer and wine are allowed AT CAMP ONLY and must be purchased by the customer either prior to the tour or along the way. WE DO NOT PROVIDE ALCOHOL. All alcoholic beverages MUST REMAIN UNOPENED in transit. No drinking in the tour vehicle allowed. Smoking is also not allowed in tour vehicles. Smoking is allowed at stops and at camp. ALL CIGARETTE BUTTS MUST BE DISCARDED OF PROPERLY. By signing this agreement I acknowledge that D.S.T. IS NOT LIABLE for any injury or negative consequence as a result of alcohol use at camp. Guides may at any time, at their discretion, disallow alcohol use at camp. It’s a privilege so don’t abuse it! I understand that all outdoor activities, use of outdoor and/or camp equipment, proper or improper, and all travel in motor vehicles, on highway and off, paved and dirt, are inherently risky. By signing below I accept full responsibility for any injury or damage, potential or realized, real or imagined, and/or physical or psychological incurred on ANY and ALL trip(s) or portions of said trips provided by DREAMLAND SAFARI TOURS L3C, or D.S.T.. IN ADDITION, I concurrently release DREAMLAND SAFARI TOURS L3C from ANY and ALL liability in association with such an injury. I also agree that if I should decide to decline medical treatment or first aid on scene I will be required to do so in writing. 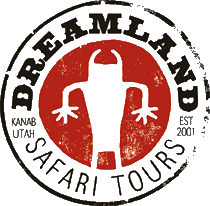 Furthermore by signing below I am acknowledging that DREAMLAND SAFARI TOURS L3C is not responsible for any of my personal property of any kind if and when lost, damaged, or stolen on the trips it provides. Finally, I agree to abide by all the rules laid out in this document and agree to accept the consequences should I not, while simultaneously and ultimately holding D.S.T. NOT LIABLE in such an event(s).